Our client was carrying out a major renovation project in her beautiful Grade II listed home. This not only included a new kitchen, but a change to its location. Our commission was to design, supply and install the kitchen. 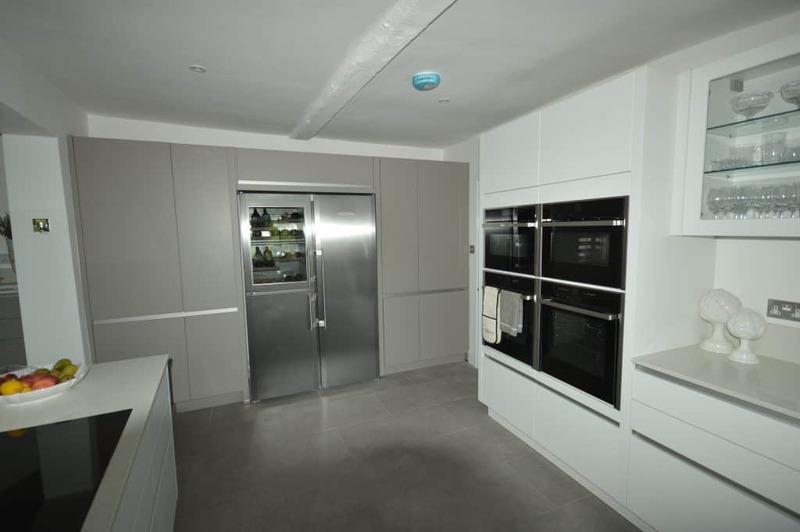 We fitted a sleek, elegant Nolte kitchen with quartz worktops. 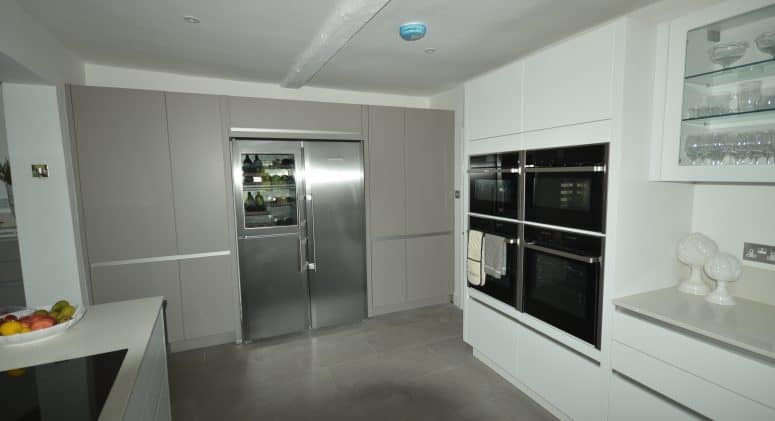 We also installed Neff appliances and a Liebherr side by side fridge freezer with wine cabinet. A modern handleless kitchen in the heart of a period property. It looks absolutely stunning and our client is thrilled with it!